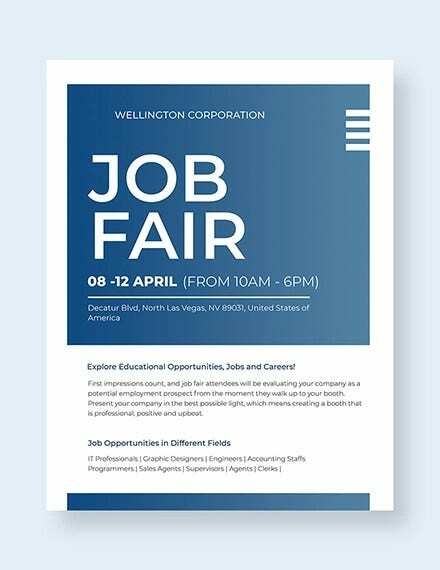 “We’re hiring!” How you articulate these words into a job flyer is crucial, especially if you need employees to help you build your goals. Nonetheless to say, it also works quite as well as marketing a certain product or service. You’re gonna have to figure out a way how to strategically attract quality potential employees to be a part of your team. 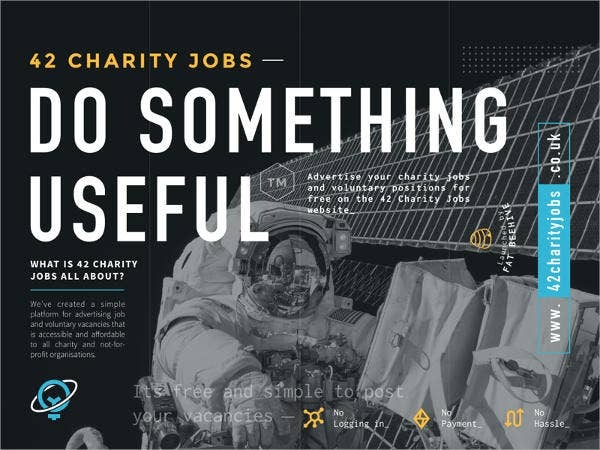 To attract potential employees, of course, you’ll need to make your flyer catchy, just like how they make advertisements so interesting. That’s how the potentials—or, in this case, the targets—come. 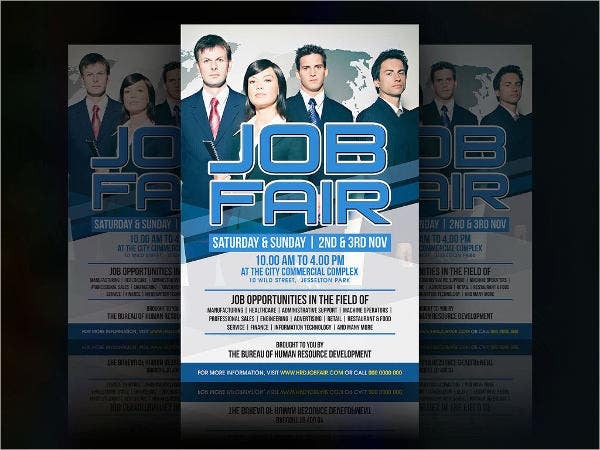 That is why coming up with a flyer templates is crucial in attracting talent to your firm. 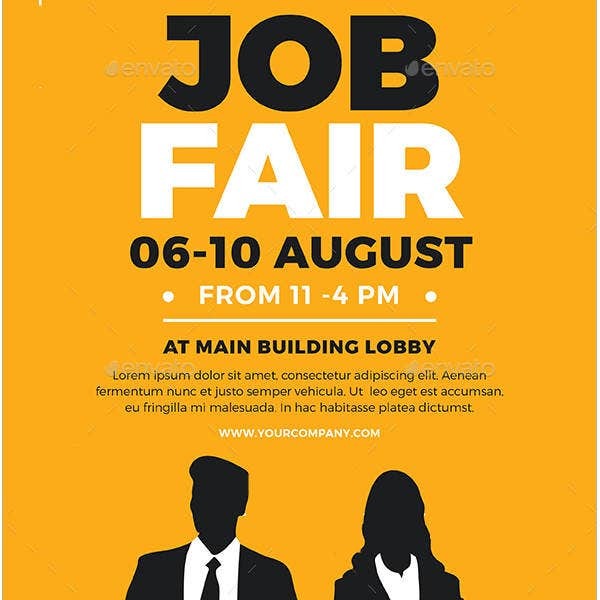 If you happen to come across with Job Fair Flyers, you’ll notice that a single flyer is targeted to certain individuals. 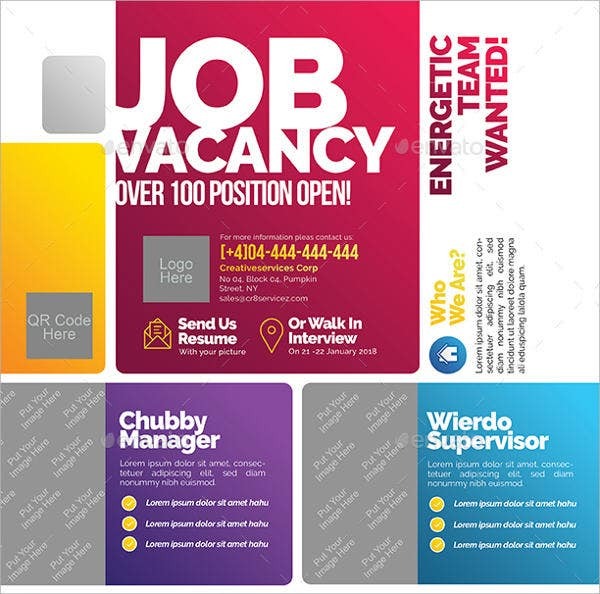 For example, when looking for a graphic designer, the flyer would be seemingly colorful and attractive to the eyes. That’s mainly because graphic artists are visual individuals. 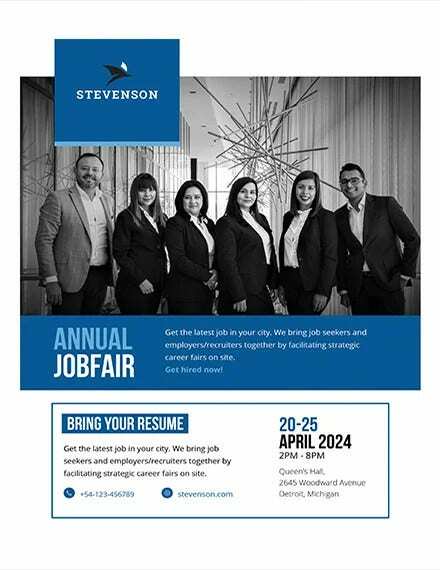 They love to see beautiful sights so they get attracted when they encounter something that’s visually made beautiful, resulting for them coming closer to the job flyer. 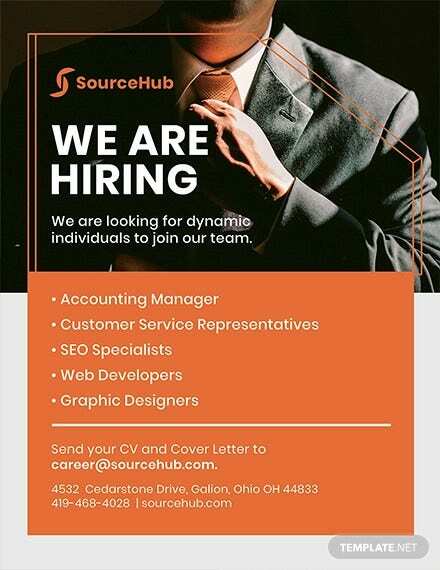 Not only a job flyer needs to be pretty, it needs to get you people joining the team and start working. 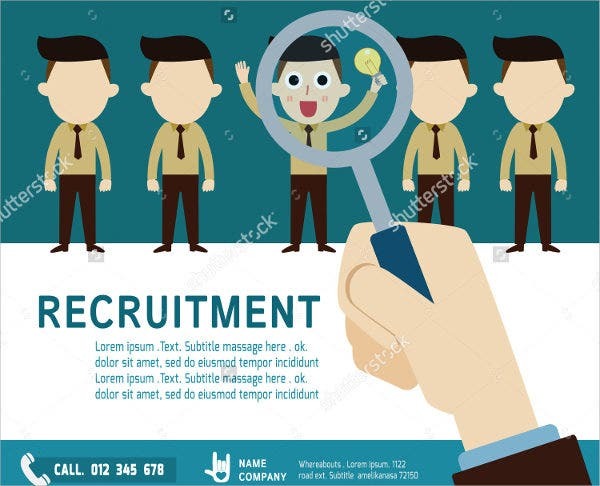 Its main purpose is to recruit people. 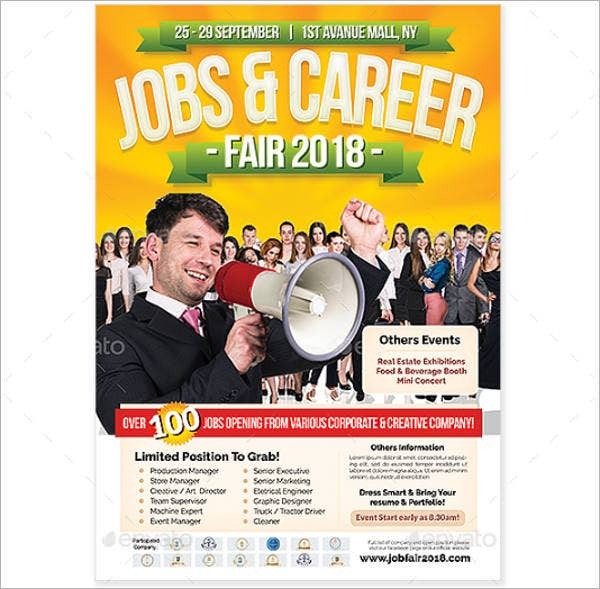 Most importantly, recruitment flyers must display the company’s location and contact information, which makes it easier for these potential employees to visit the office, ask some questions through e-mail or phone, and send or submit their resumes whichever way possible and most efficient for them. Indicating a given referral bonus or incentives is also a plus. 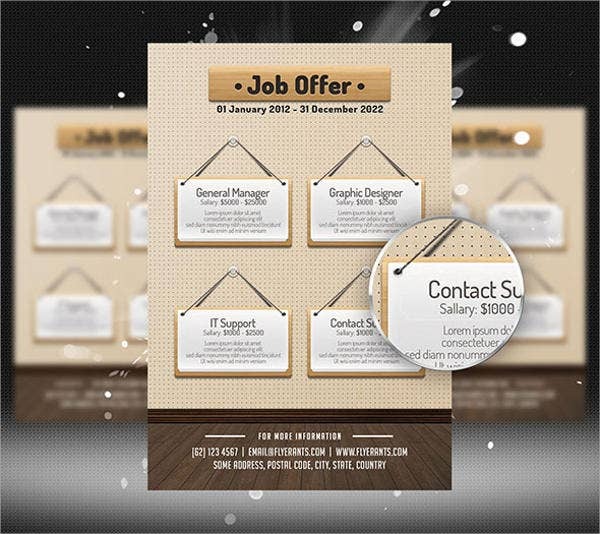 And finally, thinking about making a Company Flyer for your newly launched business? You’ve come to the right place! As it’s already a common knowledge how to be seen and create a traction for your targets (yes, we’ll still apply the same basic principles of how formulating a flyer is like an advertisement in which clearly marketing plays a important role), then this time, creating a company flyer will be relatively smooth and easy. Acquired sales and business pitch skills are also useful. 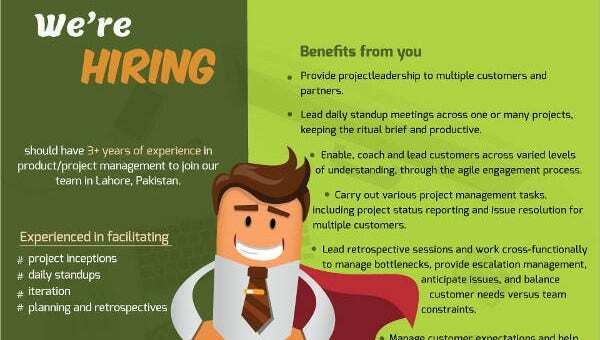 You’re basically selling your company brand and marketing it to people hence the company flyer. Overall, it commonly contains your interesting company or business name, a catchy phrase or a mind-boggling rhetorical question on what your company or business is about, some cutesy, artsy display of pictures which are relevant to the business, or it could also be a gallery of your products. Special offers on your products or service incentives is definitely a big yes, but it’s also completely optional. The most important part is having customers to actually buy your product/s and avail your service/s because that’s exactly why we come up with a company flyer to begin with. 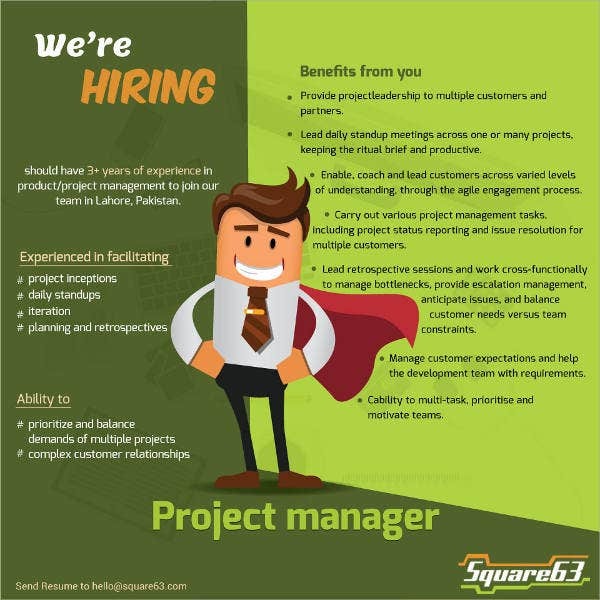 You can also use this opportunity to appeal to the customer’s needs and wants, making the flyer an important, powerful tool.